As much as I don't like fishing bait or gear, I decided to spend a day with a few friends targeting Striped Bass and Atlantic Mackerel. There wasn't much but a few mackerel busting on the surface but I knew that there had to be some Stripers around. So I rigged up my striper rig with two 3/0 Mustad Ultrapoint Circle Hooks, cut up some mackerel and hucked the 2 ounce weight with the hooks and bait following. It wasn't 5 minutes passed and the drag was screaming he was hooked! 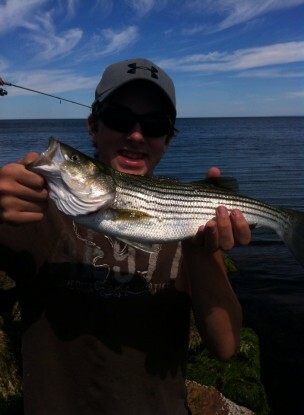 The fish, a 18 inch striped bass, his first one ever! Quite the excitement! 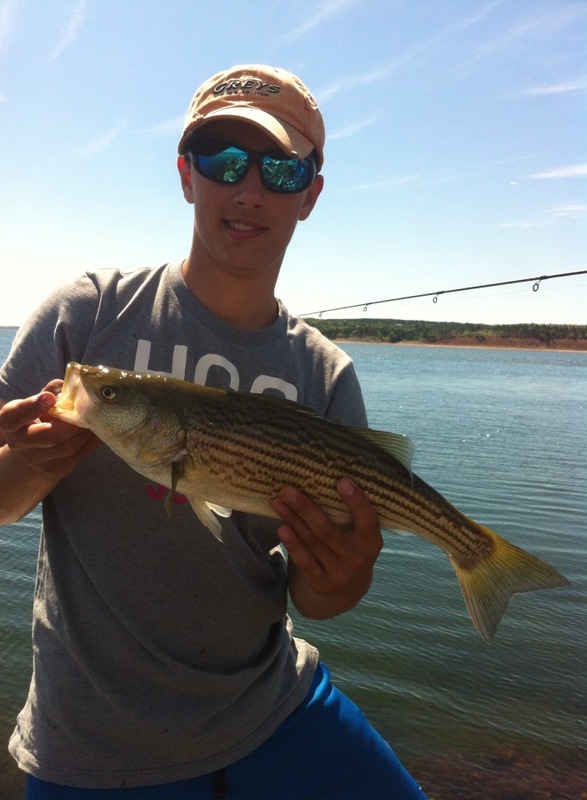 A quick picture and we released this awesome fish back into the Northumberland Strait waters. We rigged back up with two new baits, freshly cut atlantic mackerel still bloody. Cast and wait... Bang! 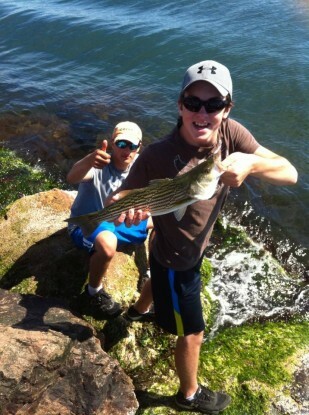 I lifted my rod as the circle hooks set into the corners of TWO Striped Bass. During the fight one bass went one way and the other, well you know. So I ended up only landing one fish but still it was a great fight! As we fished my other friend put some bait on his sabiki rig setup and let sit on bottom, he was really wanting a taste of what stripers can do. 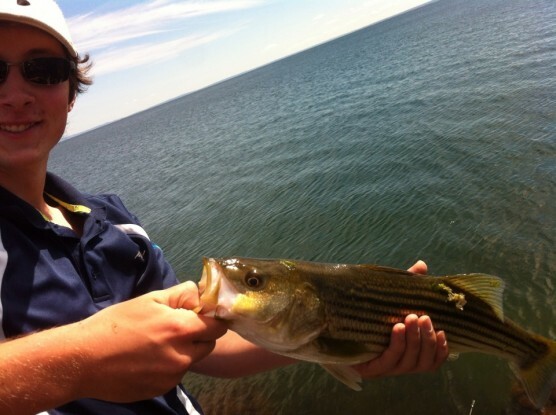 He waited, and then a tight line and a hook set embedded the hook into the mouth of a beautiful striped bass, another first striper day! Back into the salty sea he went! 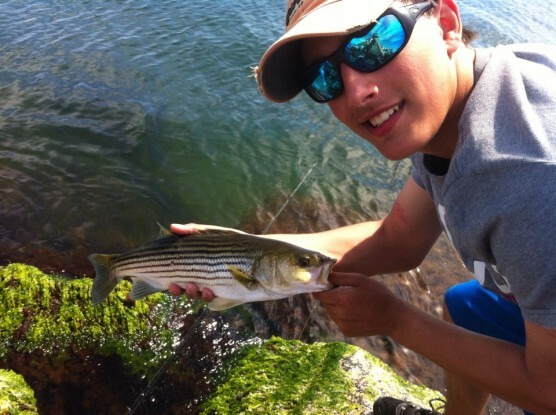 As the fishing slowed, we were just about to give in, until one more tight line came and another awesome fight , Logan's second striper was on shore! A quick release and a memory forever. What a great end to an amazing day! Thanks Guys!